CW2 David Ayala was born in South Carolina on April 17, 1980, and eventually moved with his family to Bronx, New York. Dave enlisted in the U.S. Army as an OH-58 Helicopter Mechanic upon graduating from high school. He continued to serve his country through the rank of Sergeant, yet with the ultimate goal of becoming a pilot. He served in Kosovo from November 1999 to April 2000 as a Sergeant and an OH-58D Crew Chief. Shortly thereafter, he was accepted to flight school and reassigned to Ft Rucker, Alabama. 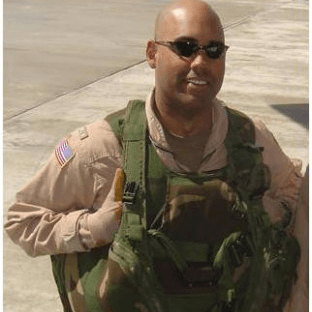 He attended the U.S. Army Basic Rotary Wing Training, Warrant Officer Basic Course, CH-47D Qualification Course, and SERE-C training.In March of 2003, he was stationed at Giebelstadt Army Airfield, Germany, where he joined F Company, 159th Aviation Regiment “Big Windy”. He trained with the unit for its deployment in support of Operation Enduring Freedom in Afghanistan, and deployed in February 2005 to Bagram Airfield near Kabul, Afghanistan. Dave enjoyed hosting his friends for dinner parties, travelling in Germany, and the finer things in life. He loved telling jokes and always had a smile on his face. Dave was a trusted comrade, who was quick to win the hearts of all of us with his calm demeanor, unexpected spontaneity, zeal for the practical joke, and his utmost adoration for his family. Everyone in the company was inspired by his warm heart and sincerity, and his amazing ability to make sure that we all kept things in the right perspective. He had a certain way with his asking how people were doing: “What’s Happening? !” he would say, and he always made sure that he truly listened to the response.